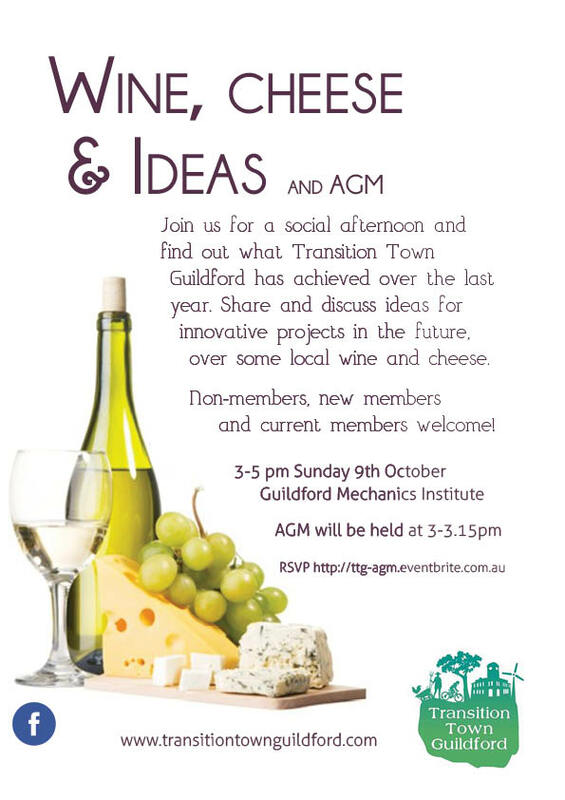 It’s time for our second AGM, so join us for a social afternoon and hear what Transition Town Guildford has achieved over the last year. Come share and discuss ideas for future projects over some wine and cheese. Become a member on the day ($10 individual/ $15 family). 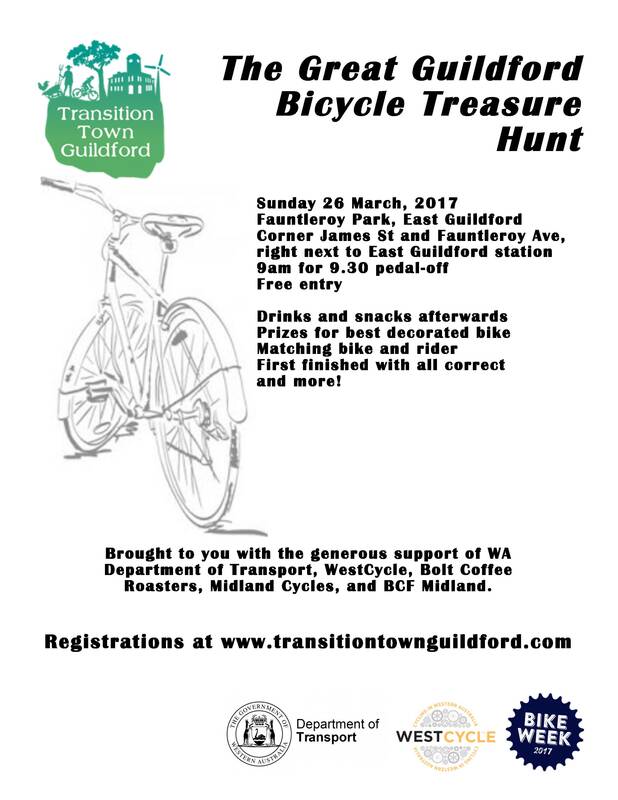 Non-members, new members and visitors welcome! Sunday 9th October, 3-5pm at the Mechanics Institute (next to post office).